Featuring a multi coloured printed crepe straight cut semi-stitched salwar-kameez. 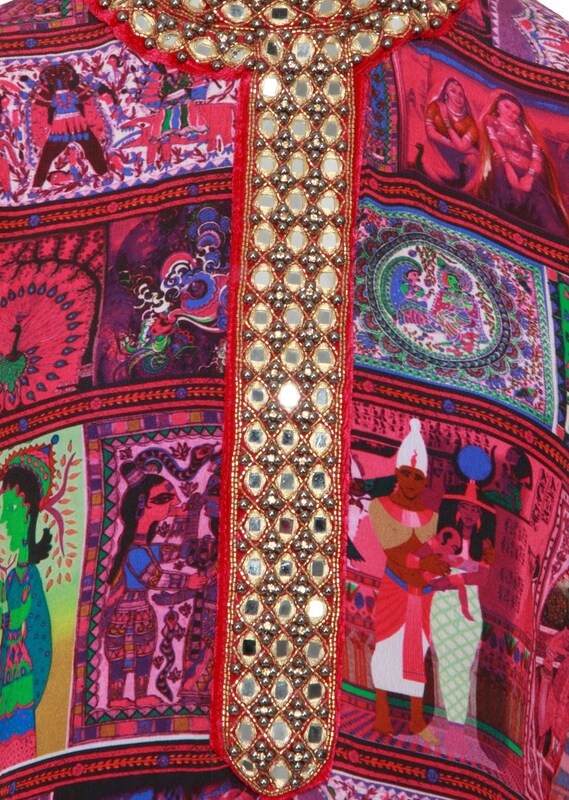 The collar and placket is embellished in mirror work. The border is in fushia velvet and gold lurex. 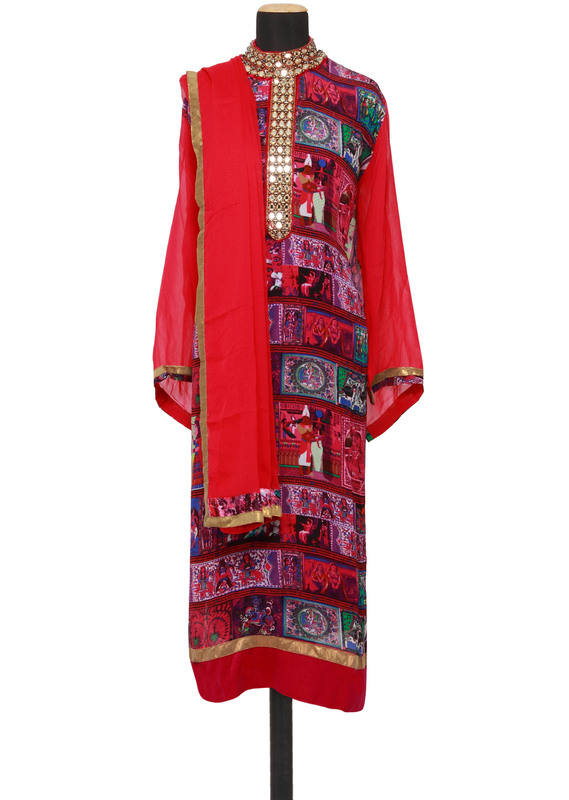 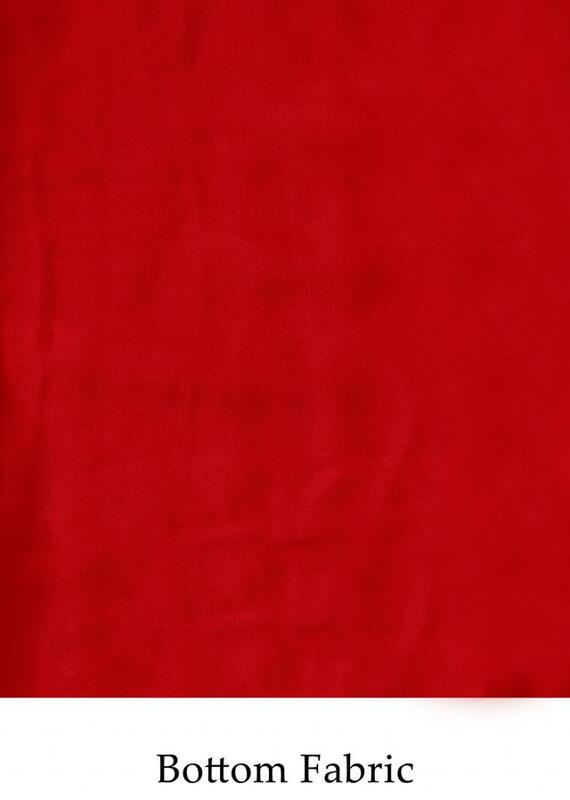 It comes with a fushia santoon unstitched fabric and fushia dupatta with gold lurex border.